(Nanowerk News) A team of Harvard scientists and engineers has demonstrated a rechargeable battery that could make storing electricity from intermittently available energy sources, like sun and wind, safe and cost-effective for both residential and commercial use. 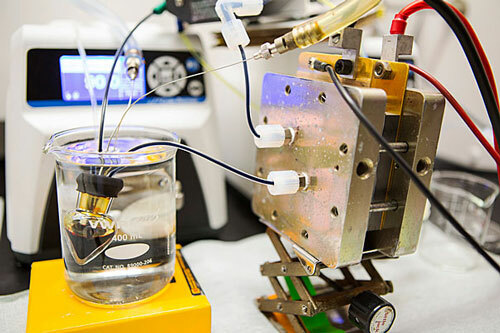 The new research builds on earlier work ("A metal-free organic–inorganic aqueous flow battery") by members of the same team that could enable cheaper and more reliable electricity storage at the grid level. The research appears in a paper published today in the journal Science ("Alkaline quinone flow battery").